The race is on. SMSF offerings are getting jumped on by Australians, meaning there’s an exploding market of SMSF compliance work for you to grab hold of. It’s a golden opportunity for you to expand an accounting of financial planning firm’s menu of services. But if money is tight it might seem like the price of expansion at this time is just too dear. Happily SMSF outsource solutions can take a lot of the sting out of helping your firm grow. 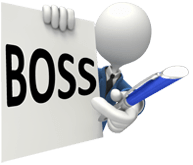 BOSS’s overseas workers can help you right from set-up through to audits. Unlike SMSF specialty houses the virtual workers are in essence your employees meaning you’re never at risk of having your SMSF clients poached, cutting you out of the exchange. If you opt for a dedicated accountant you’ll be able to set up checklists customized to your firm’s workflow processes and we’ll help you if you care to customize any of your work papers, be they paper or virtual. You’ll also be able to quickly set up SMSF trust deeds, bank account applications, and set funds to rollover to the SMSF’s bank account. Your overseas workers are always up to date on current compliance regulations. So if you’re just ramping up into SMSF outsource solutions and you’re not quite up to speed on all the compliance rules we’ll be happy to help you understand what you need to do to keep yourself from being exposed to compliance risks. Your virtual workers will prepare all income tax work statements, SMSF tax return forms, as well as all analyses of contributions. At this point you’re ready to turn your SMSF outsource solutions’ work over to an independent SMSF auditor BOSS has a relationship with or we can forward prepared data to an auditor of your choice.